Scientists say it's beyond any scientific doubt that a renewables-led energy system is technically feasible. There are no roadblocks on the way to a 100% renewable future. This is according to new research by scientists dispelling arguments in a paper published last year pointing out that a 100% renewables energy future was not feasible. In a review paper last year in the high-ranking journal Renewable and Sustainable Energy Reviews, Benjamin Heard and colleagues presented their case against 100% renewable electricity systems. "While many modelled scenarios have been published claiming to show that a 100% renewable electricity system is achievable, there is no empirical or historical evidence that demonstrates that such systems are in fact feasible," say Heard and his colleagues. Some of the arguments they raised include: "Is there enough space for all the wind turbines and solar panels to provide all our energy needs? What happens when the sun doesn't shine and the wind doesn't blow? Won't renewables destabilise the grid and cause blackouts?" Now scientists have hit back with their response to the points raised by Heard and colleagues. The researchers from the Karlsruhe Institute of Technology, the South African Council for Scientific and Industrial Research (CSIR), Lappeenranta University of Technology, Delft University of Technology and Aalborg University have analysed hundreds of studies across scientific literature to answer each of the apparent issues. They demonstrate there are no roadblocks on the way to a 100% renewable future. "While several of the issues raised by the Heard paper are important, you have to realise there are technical solutions to all the points they raised, using today's technology," says the lead author of the response, Dr Tom Brown of the Karlsruhe Institute of Technology. A recent cost analysis from the International Renewable Energy Agency shows all renewable energy technologies will compete with fossils on price by 2020. Another co-author of the response, now a former CSIR employee, Dr Tobias Bischof-Niemz, says: "It's beyond any scientific doubt that a renewables-led energy system is technically feasible, and recent technology cost developments for solar and wind have now made it economically viable too. Good news indeed for sun- and wind-rich countries like South Africa." Brown cites the worst-case solution of hydrogen or synthetic gas produced with renewable electricity for times when imports, hydroelectricity, batteries, and other storage fail to bridge the gap during low wind and solar periods during dark European winters. Luckily, he notes, this is a problem that a country like SA with very little seasonality in solar supply does not need to worry about too much. More importantly, the scientists note the stability of the grid poses specific challenges in SA with existing low-levels of interconnectivity with neighbours. For maintaining stability, they say there is a series of technical solutions, from rotating grid stabilisers to newer electronics-based solutions. Meanwhile, SA's energy minister Jeff Radebe, addressing Africa Utility Week last week, re-affirmed the South African government's commitment to renewable energy as part of the country's energy mix. 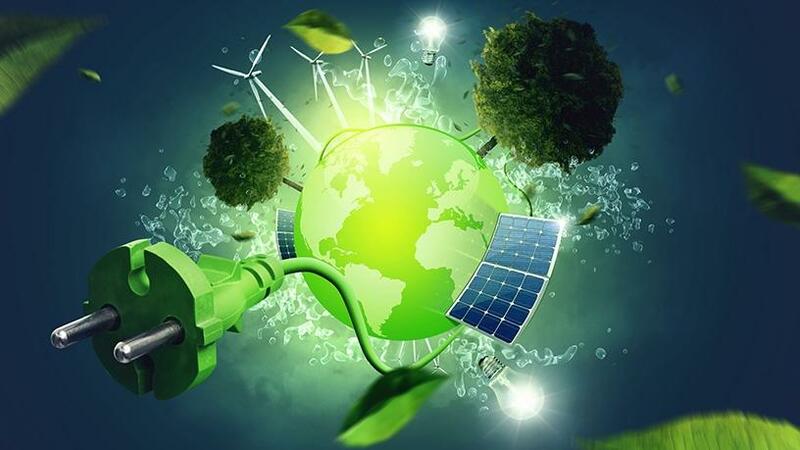 Radebe highlighted the successes of renewable energy in SA, saying: "To date, we have concluded 91 projects with a capacity of 63 000 megawatts (MW). Of this, 62 of these projects have the combined capacity of 3 800MW, which is already connected to the grid." He also told delegates the country has seen a "significant decline in tariffs of about 55% for wind and 76% for solar". Radebe said about R136 billion has been invested in the South African economy, with another R56 billion to be invested over the next three to five years when construction of 27 renewable power projects signed in April, will commence. He also listed the 39 000 jobs created for South Africans with these projects, the estimated 23 million tonnes of carbon dioxide reduction and the substantial savings of water.